Luscious fluff and soft feel, Tula Baby Blankets are made with plenty of love and attention because they know they are meant to snuggle up with you and your babies! 'True' has a repeating hip arrow pattern that has pops of coral and navy colour! 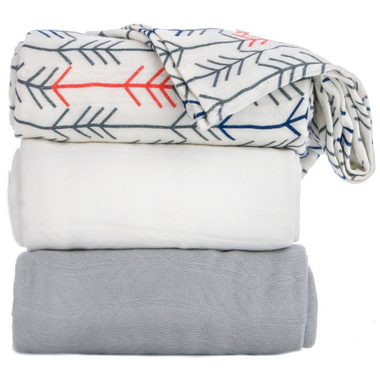 This lush baby blanket comes as a 3 blanket set with two jacquard blankets; one in natural white colour and one in a light gray colour, with the same arrow design as the main. 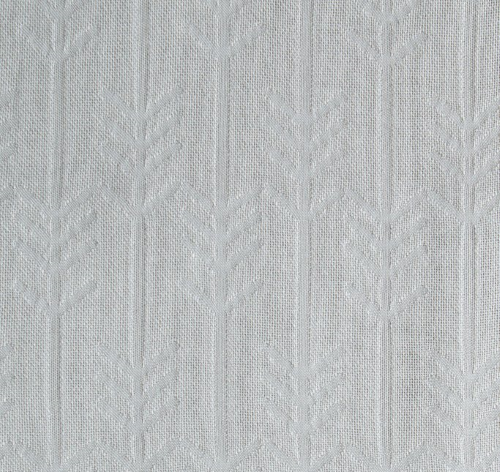 Care Instructions: Tula Baby Blankets are made from natural fibers and should be washed with care. Wash in cold water, on delicate cycle. Tumble dry on low heat separate from other articles of clothing that could potentially snag or tear the delicate fabric of the blanket. Only use non-chlorine bleach as needed and avoid ironing. 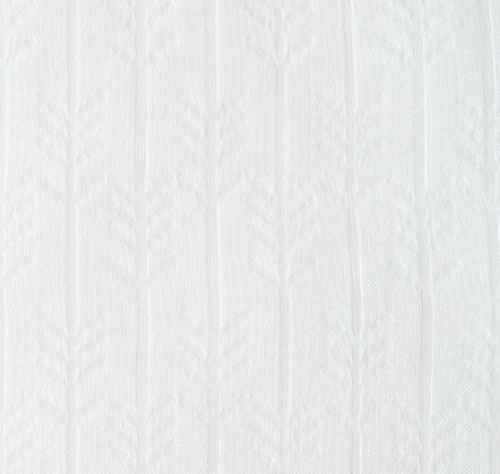 It is natural for this fabric to experience some shrinkage upon washing.